The anti-corruption activist’s mayoral campaign in Moscow is dividing voters, while testing the country’s diminished opposition party. The five-year prison sentence handed down to anti-corruption crusader and Moscow mayoral candidate Aleksei Navalny Thursday in a politically motivated trial immediately prompted talk of Navalny as a folk hero and martyr. BBC News went so far as to headline its story on the trial “Russia’s Mandela moment?,” joining publications like Time, opposition leaders like Boris Nemtsov and Yevgeniya Chirikova and even conservative commentator Maksim Shevchenko in comparing Navalny to the revered South African politician, whom Vladimir Putin congratulated on his ninety-fifth birthday, the day of the Navalny verdict. 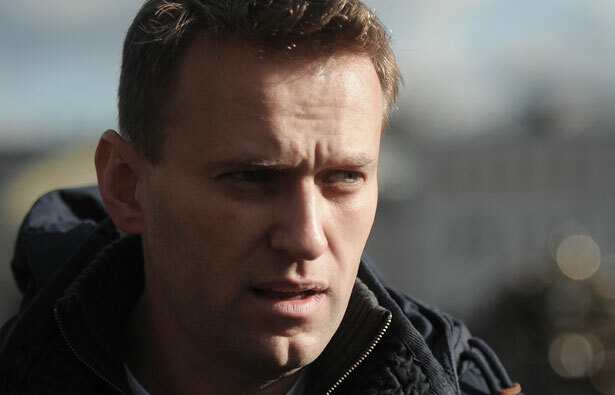 What such gushing appraisals miss is that unlike Mandela, who unified a fractured country, Navalny remains a divisive figure in both opposition politics and the country as a whole. A fact seldom reported in English-language coverage of the leader is that most Russians who know who Navalny is disapprove of him: a survey published by the independent Levada Center in June found that 35 percent of Russians do not approve of Navalny’s activities, as opposed to 6 percent who do. Fifty-nine percent did not know who he is. While the embezzlement trial appears to have been at least partially successful in its aim of marring his reputation among the public as an anti-corruption campaigner, Navalny’s unabashedly nationalist stance on issues like migrant labor had already alienated some in the liberal opposition. The conviction will bar him from holding political office if he loses his appeal. The charges in his trial held that Navalny conspired with his acquaintance Pyotr Ofitserov and the director of the state timber company KirovLes to force the company to sell Ofitserov’s company, VLK, timber at artificially low prices. A white paper by Loeb & Loeb LLP, however, concluded that the “indictment does not describe any crime.” In April, Investigative Committee spokesperson Vladimir Markin admitted that the committee had been actively pursuing the case due to Navalny’s political activities. The trial itself was tainted by irregularities: the defense was not allowed to call any of its witnesses, and the lead prosecution witness contradicted his written statement when testifying in court, after which the statement was simply read out loud. “Everything I know about this case…unfortunately confirms we do not have independent courts,” former Soviet leader Mikhail Gorbachev said in a statement after the verdict. A June survey found that of those who had heard of the trial (49 percent had not), 23 percent said it was being conducted to punish Navalny and associates who are “guilty of corruption and embezzlement.” This ignorance of the trial and belief in Navalny’s guilt may largely be the effects of state television, the main news source for most of the population, which has generally repeated the prosecution’s case while ignoring the defense. It has also put less emphasis on the case than print and web media: on the afternoon of the sentence, the most-watched station, Channel One, avoided mention of the trial. A number of incidents from Navalny’s past, eagerly disseminated by pro-Kremlin media, have likely also influenced the negative perception of the anti-corruption activist. These include e-mail correspondence allegedly showing that a political analyst paid Navalny $50,000 for a smear campaign against the aluminum company Rusal, as well as Navalny’s participation in the six-month Yale World Fellows Program and acceptance of a grant from the National Endowment for Democracy. “Yabloko has its own candidate for mayor, its own position, which in terms of the nationalities question is the opposite of Alexei’s position,” Mikhaleva wrote. Nonetheless, the early mayoral election to be held September 8, which was announced suddenly in June, will give Navalny a chance, albeit brief, to grow his support base beyond protest-goers. A Levada Center poll published the day before the verdict found that 8 percent of decided voters plan to vote for Navalny, putting him in the lead of a crowded field of challengers to Acting Mayor Sergei Sobyanin, who has 78 percent of decided voters. Close behind Navalny with 6 percent was Ivan Melnikov of the Communist Party, which has typically done the best of any opposition party in elections. Divisive as he may be, Navalny’s mayoral campaign will be seen as a test of the opposition movement, which has faced diminished turnouts at rallies and persecution of allied duma deputies. Sobyanin himself has been insistent that Navalny run, seemingly eager to beat him and discredit the viability of the non-system politics he represents. If he can unify enough voters behind him to exceed expectations, though, Navalny can prove the vitality of the opposition and show that he’s not just a great blogger and rabble-rouser, but also a good politician. After six trips to the Middle East in six months, John Kerry seems to be making progress with Israel and Palestine. Will the talks pay off?